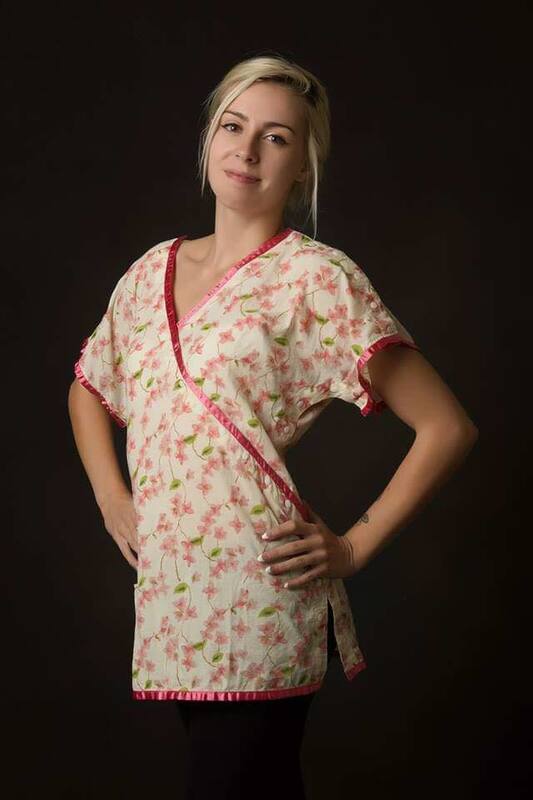 Boutique Hospital Apparel… Colorful, Vibrant Hospital Wear to Make Someone Feel Like a Person… Not a Patient! Especially customized for women undergoing cancer treatment. So Rad! Apparel is a true passion project and was born out of my own cancer experience. This is a line of hospital tops and gowns that are suitable for doctor’s visits, mammography, MRIs and undergoing cancer treatment, such as radiation. I created this line out of my personal experience as a Cancer survivor. While undergoing treatment, I did not enjoy sitting in “public” waiting areas for radiation, doctor’s offices and walking through treatment rooms wearing the “traditional” hospital gown. The gowns are ill-fitting. You are already down and it felt demeaning… so I decided that if I was going to have to go through the paces of chemo, radiation, and endless doctor visits… I would rather be “up” and do it in style. Thus was born the idea of “So Rad… Boutique Hospital Apparel”… making you feel like a person, not a patient! The gowns are a 100% crinkle cotton and feature vibrant fabrics and satin trims. The first tops and gowns are currently being manufactured and will be available soon!